Of the 159 Rangers built, 12 Mk Is, 31 Mk Ils, and 52 Mk Ills remain in active service, with 2 Mk Is and 2 Mk Ils in reserve fleets. 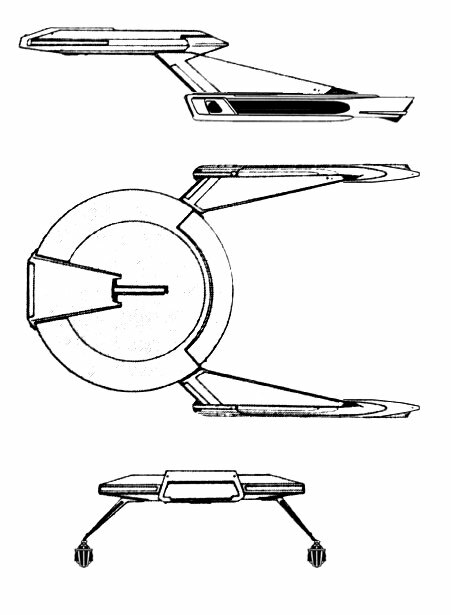 Two Mk lIs and 1 Mk III are used by Star Fleet Training Command; 26 Mk Is, 8 Mk Ils, and 1 Mk III have been destroyed; 2 Mk Is and 1 Mk II are listed as missing; 1 Mk I and 12 Mk Ils have been scrapped; and 6 Mk Is and 1 Mk II have been sold to civilian commercial concerns. The Ranger is produced at the Sol IV and Morena facilities at a combined rate of 8 per year. Power Units Available – 14 ea. 14 ea. 14 ea. 14 ea. 14 ea. 14 ea. 14 ea.